Επειδή λίγοι μπορούν να αγοράζουν την C63 AMG ή την C450 AMG Sport, η Mercedes δίνει την δυνατότητα τους κατόχους της απλής έκδοσης της C-Class να τοποθετήσουν σε αυτή, αρκετά AMG αξεσουάρ. Ανάμεσα σε αυτά συναντάμε μπροστά splitter, πλαϊνά skirts, αεροτομή, νέο πίσω προφυλακτήρα με διαχύτη και ειδικές διακοσμητικές λωρίδες, με τα αξεσουάρ να ξεκινούν από τα 200 ευρώ και να φτάνουν έως τα 790 ευρώ. Stuttgart/Affalterbach. 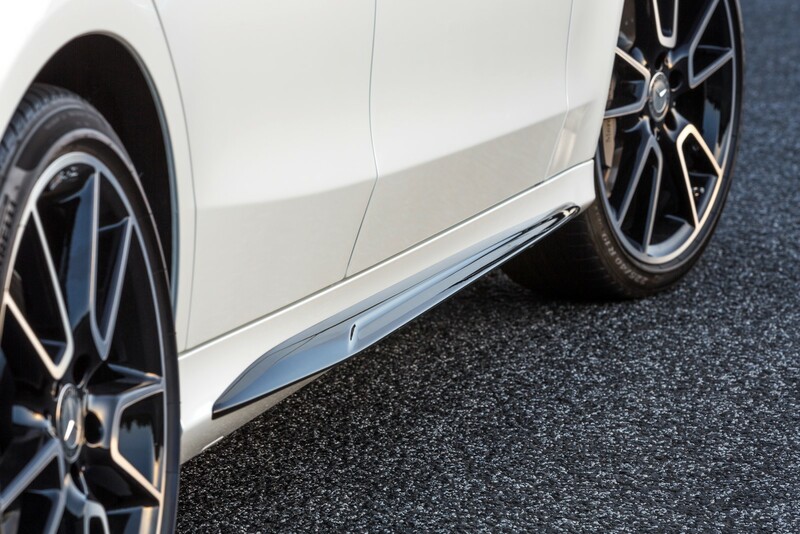 Mercedes-AMG is presenting new AMG accessories: with exclusive attachments and sporty side stripes, the dynamic look of the C 450 4MATIC AMG and the AMG Line models will be further increased. For the C-Class sedan, the exclusive AMG accessories are now available at all retailers. At years end, the corresponding offer will also be available for the C-Class station wagon. An additional program for further body versions and other series follows in 2016. Mercedes-AMG, the sports car and high-performance brand of Mercedes-Benz, stands for excellent driving dynamics and high emotional appeal. With the new AMG accessories, more sporting ambitions and personal appearance can now be added in the Aftermarket. The range currently includes five exterior add-on parts in a striking AMG design for the C 450 4MATIC AMG sedan and the AMG Line models. There are also sporting side strips, which are attached as foiling below the dropping line of the vehicle. All components are perfectly matched and available from the Mercedes-Benz dealers. The add-on parts produced by thermoforming technology are supplied in high-gloss black – ideal for a sporty look. 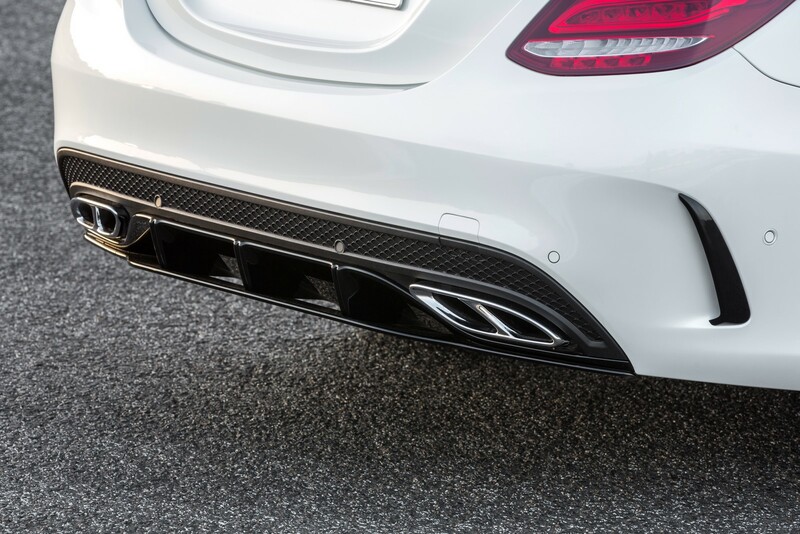 The high-quality surface finish eliminates painting, which means the attachments are mountable without any further effort – great emphasis was placed on simple handling and short installation times during the development of these unique AMG accessories. 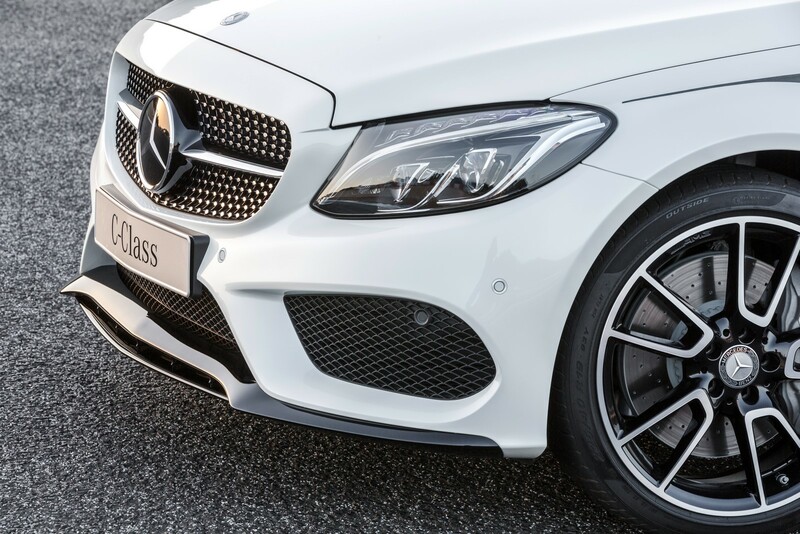 Only 1 ½ hours are required of the Mercedes-Benz dealers, for example, to assemble the four components AMG front splitter, AMG rear apron trim, AMG side sill set and AMG Additional rear flics. 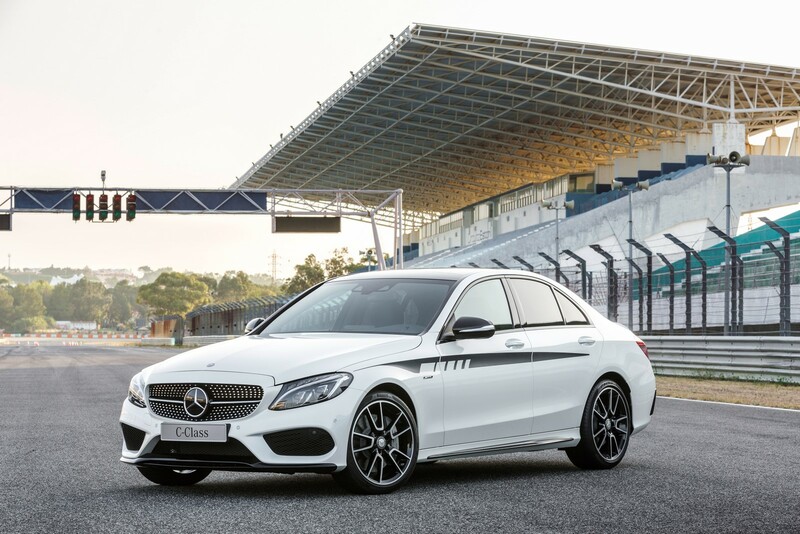 Since a new solution comes into play as an excerpt from the EC type-approval, starting in 2016 the AMG accessories must not be registered in the vehicle documents. The Mercedes-Benz workshop only has to fill in the corresponding confirmation and deliver it to the customer. 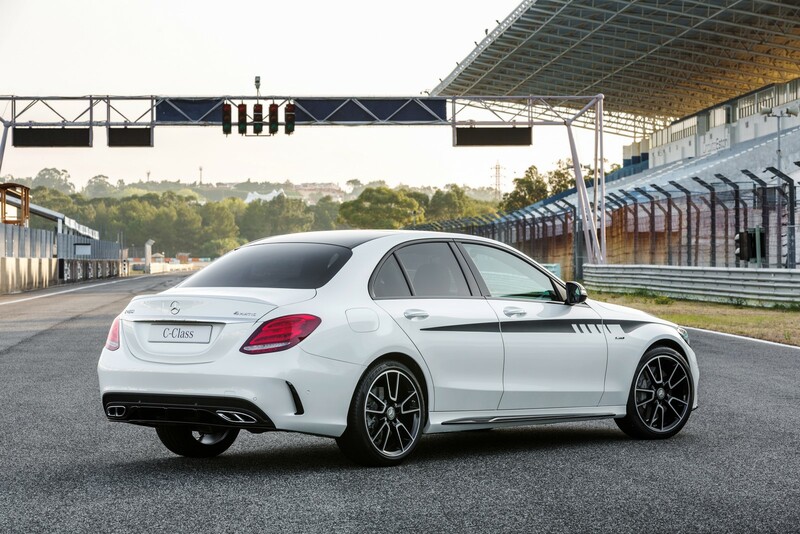 The AMG accessories will be expanded successively: from the end of 2015 an offer for other body versions of the C-Class and other series is planned. At the International Motor Show (IAA) in Frankfurt (September 15 to 27) one can experience the new AMG accessories interactively on a touch screen monitor.